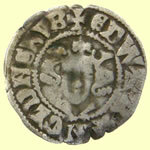 Edward was king of England for 50 years. 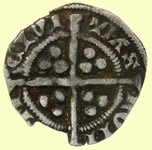 His reign saw the beginning of the Hundred Years War against France. 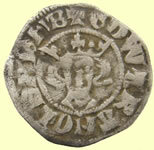 Edward was born on 13 November 1312, possibly at Windsor, although little is known of his early life, the son of Edward II and Isabella of France. 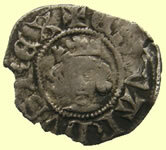 Edward himself became king in 1327 after his father was deposed by his mother and her lover, Roger Mortimer. 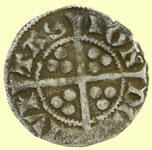 A year later Edward married Philippa of Hainault - they were to have 13 children. 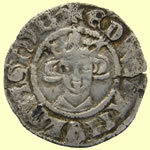 Isabella and Roger ruled in Edward's name until 1330, when he executed Mortimer and banished his mother. 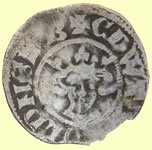 Edward's primary focus was now war with France. 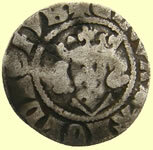 Ongoing territorial disputes were intensified in 1340 when Edward assumed the title of king of France, starting a war that would last intermittently for over a century. 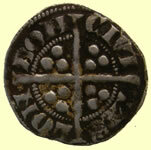 In July 1346, Edward landed in Normandy, accompanied by his son Edward, the Black Prince. 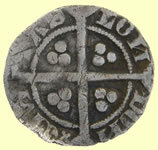 His decisive victory at Crécy in August scattered the French army. 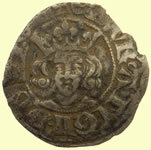 Edward then captured Calais, establishing it as a base for future campaigns. 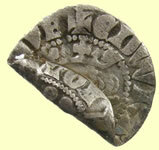 In 1348, he created the Order of the Garter. 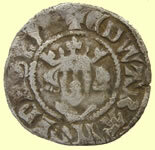 War restarted in 1355. 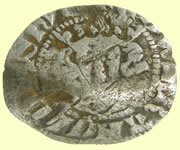 The following year, the Black Prince won a significant victory at Poitiers, capturing the French king, John II. 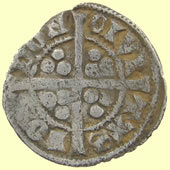 The resulting Treaty of Bretigny in 1360 marked the end of the first phase of the Hundred Years War and the high point of English influence in France. 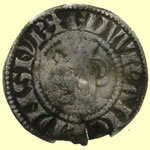 Edward renounced his claim to the French crown in return for the whole of Aquitaine. 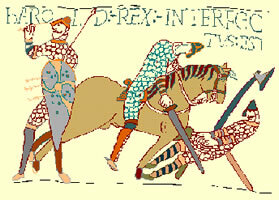 In 1369, the French declared war again. 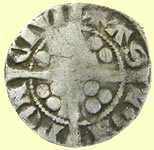 Edward, by now an elderly man, left the fighting to his sons. 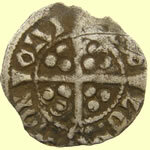 They enjoyed little success and the English lost much of the territory they had gained in 1360. 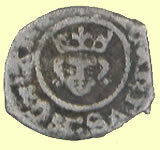 After the death of his queen, Philippa, in 1369, Edward fell under the influence of Alice Perrers, his mistress, who was regarded as corrupt and grasping. 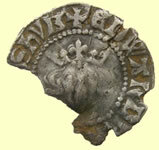 Against a backdrop of military failure in France and outbreaks of the plague, the 'Good Parliament' of 1376 was summoned. 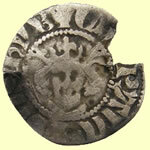 Perrers and other members of the court were severely criticised and heavy taxation attacked. 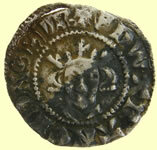 New councillors were imposed on the king. 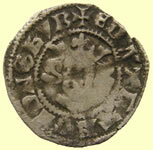 The death of the Black Prince, Edward's heir, interrupted the crisis and the king's younger son, John of Gaunt, who had ruled the country during Edward's frequent absence in France, later reversed the Good Parliament's reforming efforts. 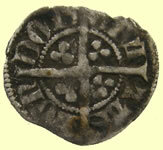 Edward died on 21 June 1377, leaving his young grandson Richard as king. 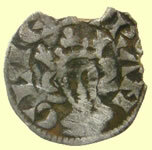 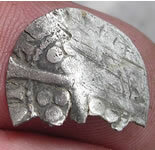 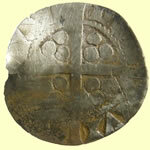 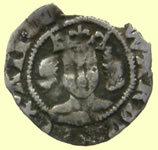 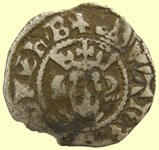 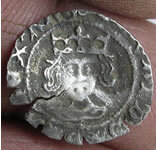 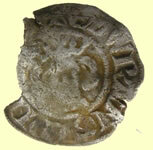 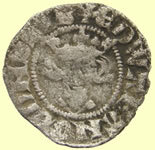 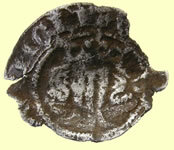 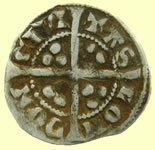 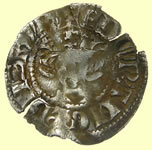 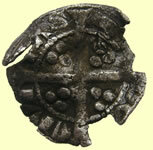 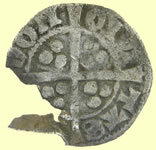 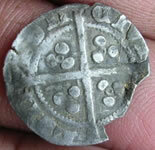 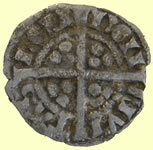 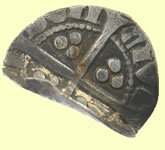 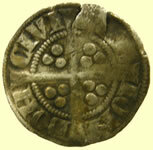 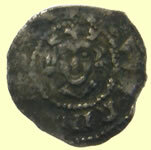 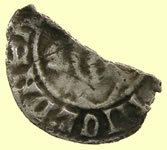 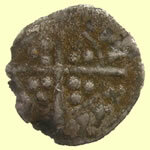 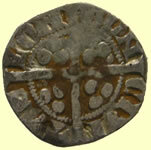 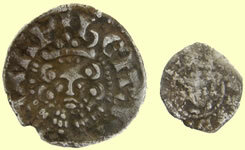 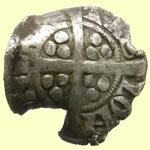 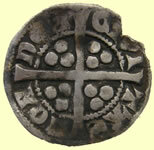 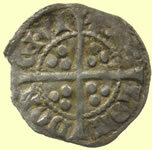 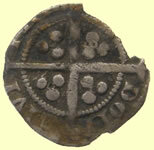 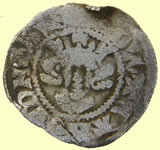 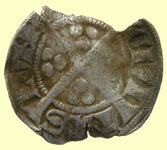 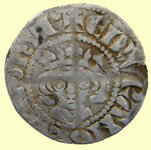 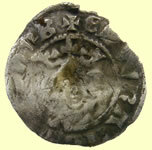 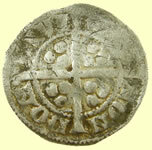 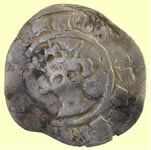 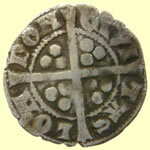 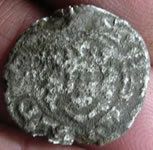 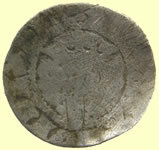 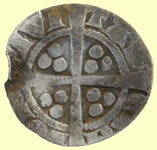 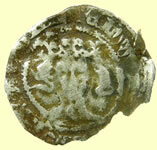 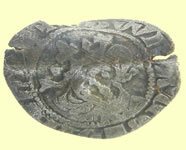 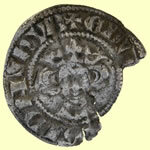 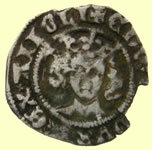 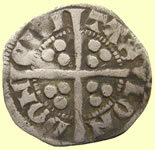 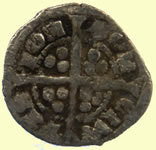 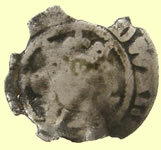 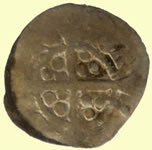 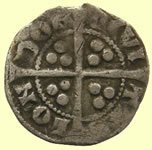 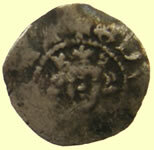 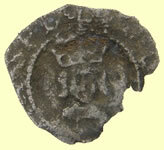 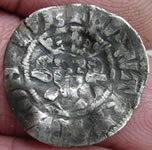 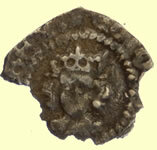 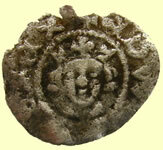 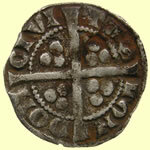 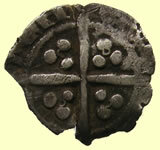 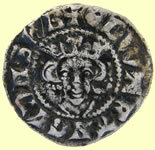 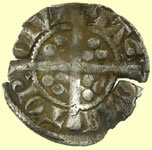 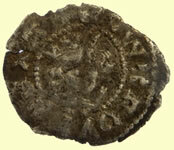 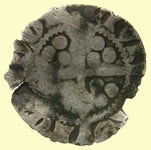 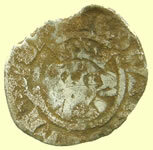 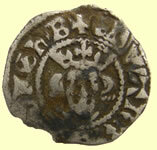 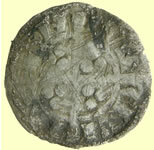 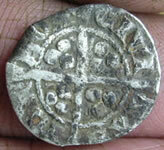 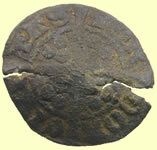 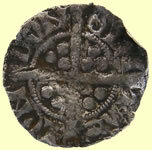 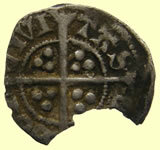 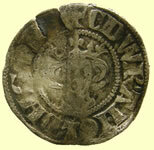 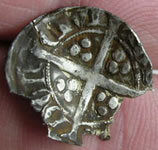 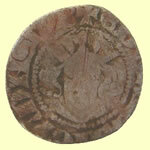 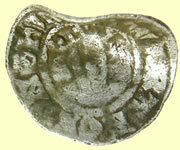 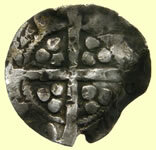 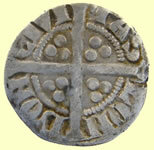 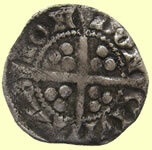 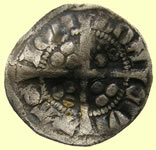 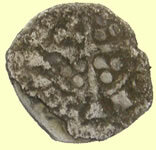 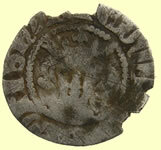 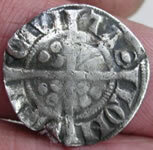 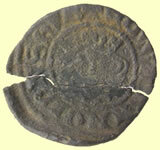 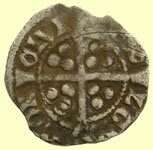 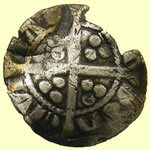 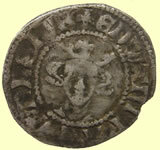 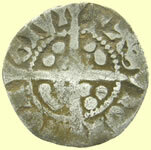 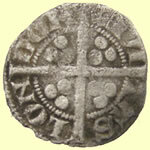 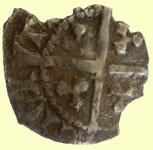 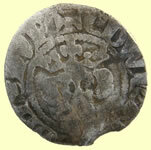 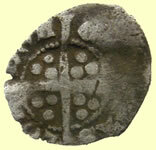 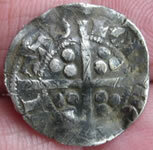 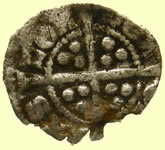 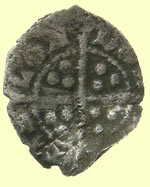 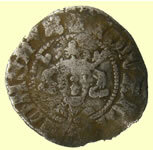 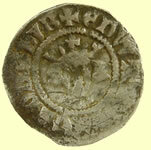 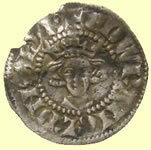 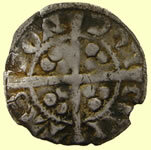 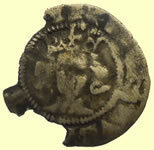 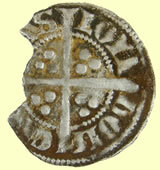 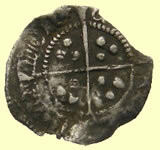 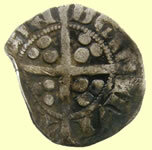 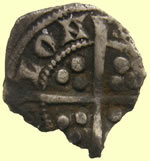 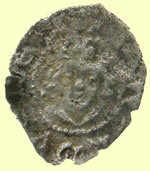 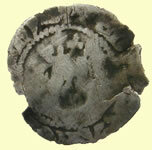 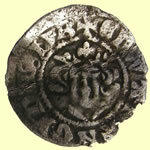 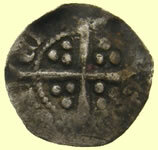 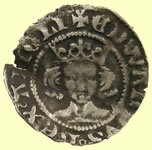 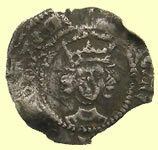 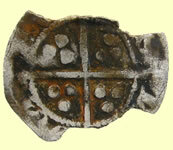 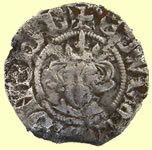 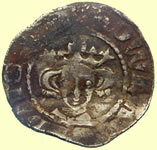 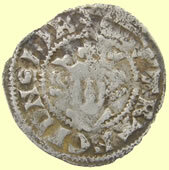 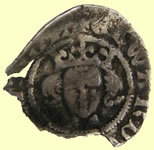 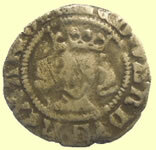 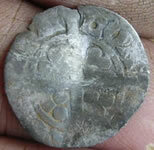 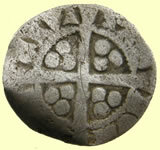 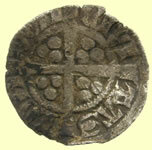 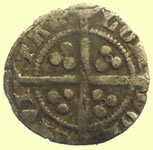 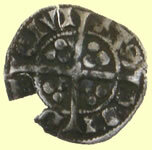 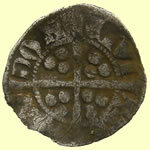 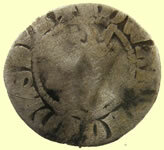 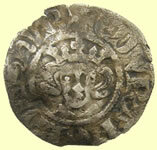 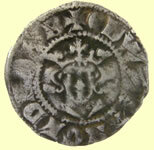 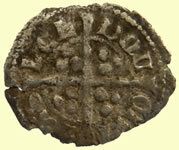 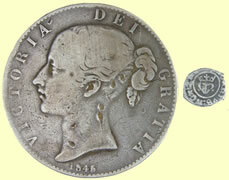 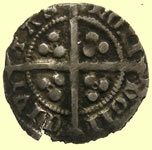 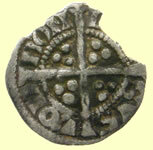 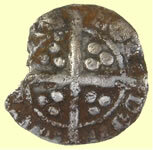 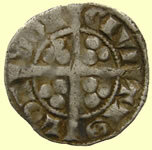 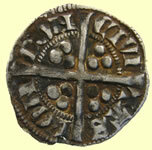 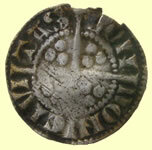 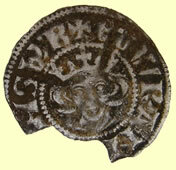 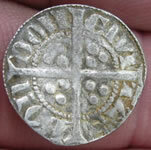 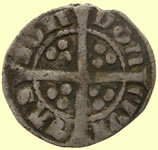 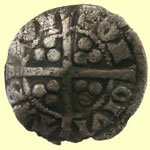 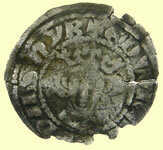 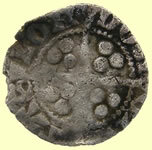 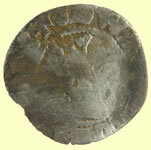 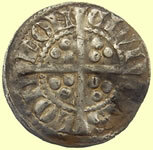 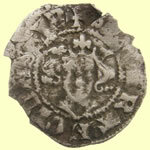 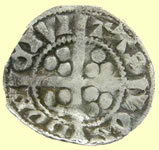 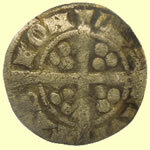 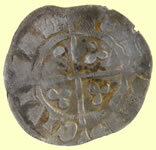 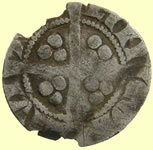 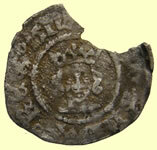 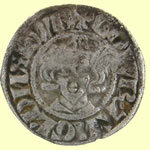 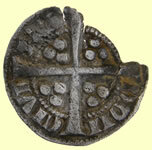 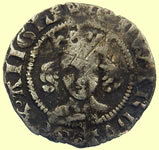 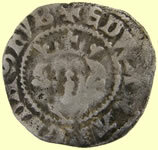 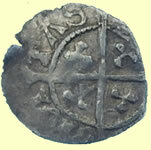 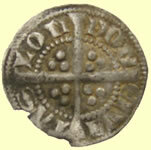 1327 1377 Edward III hammered silver penny - reverse has quatrefoil with dot at centre of cross indicating a York Archiepiscopal issue but the rev legend appears to CIVI/TAS/***/*ON indicating London mint? 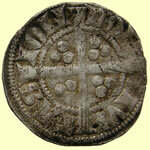 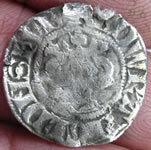 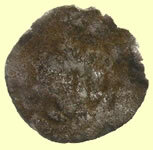 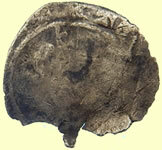 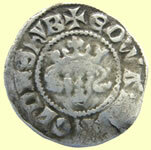 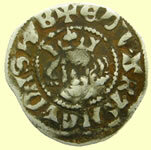 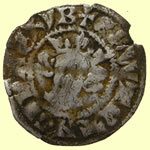 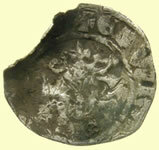 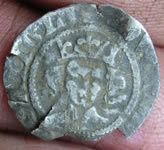 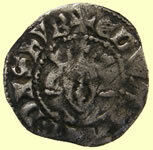 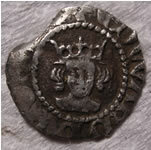 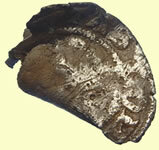 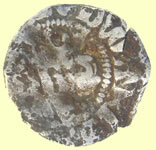 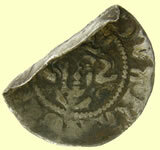 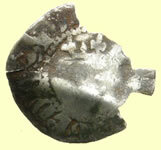 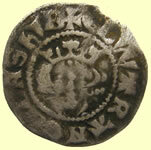 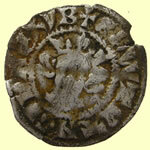 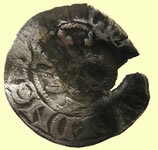 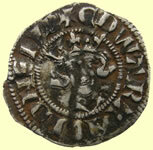 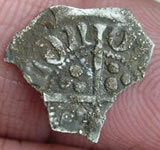 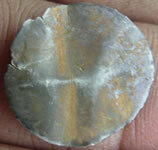 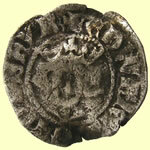 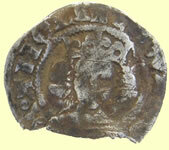 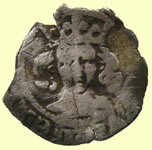 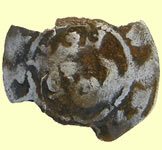 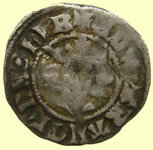 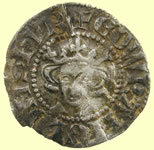 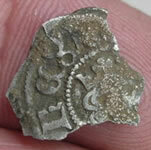 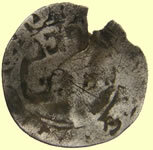 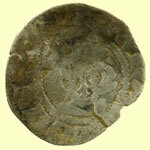 1356-61 Edward III hammered silver penny - annulet in qtr on obv - Pre Treaty Durham ?